Future House Music is still one of the genres which is played often on the biggest festivals and clubs by all major dj's. It's also still one of the styles with a huge steady fan base, online on all platforms and live during parties. 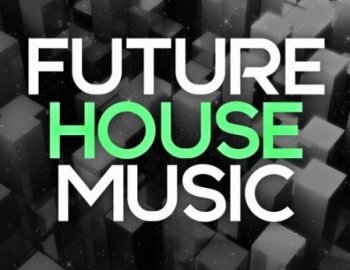 ''Future House Music'' is a fantastic new pack stuffed with future house vibes and tools inspired by names such as Oliver Heldens, Lucas & Steve, Pep & Rash, Martin Garrix and others. Inside you will find 5 Construction Kits, Midis, One-Shot Wavs, Drum Loops, Piano Loops and Drums + 100 Sylenth Presets for Future House! This samplepack has so many samples, loops and midis, you can also easily use it for other styles like EDM, Future Bounce, Prog House and more. Let the Future House madness begin... In your studio! All Royalty-Free.